 These Terms and Conditions (“the Terms”) apply to the provision of all services by Make Me Slick Pty Ltd ACN 611 277 920 (“Make Me Slick”, “we”, “us” or “our”) to the Service Provider (“you”). By clicking on the “Get Started” button on the registration page, you agree to be bound by these Terms. Make Me Slick operates an online platform through our website, web applications, iPhone and Android applications and related online services including any new features and applications which we may modify or introduce from time to time (“the Platform”), which allows you to view, interact with, connect and schedule bookings for hair, beauty and tattoo services (“the Services”) with customers registered with Make Me Slick (“the Customers”). In order to use the Platform, you will be required to register with us and create an account to list your business (“Registration”) on the Platform. By completing our online registration form, you agree to provide honest, accurate, current and complete information about yourself and your business. We may require you to provide additional information or update such information at any time, to assist us in determining whether to permit you to continue to use and list on the Platform. Registering with Make Me Slick and creating an account is free. There is no fee payable by you for use of and to list on the Platform. In consideration for your Registration, Make Me Slick connects you with the Customers. When a Customer makes a booking with you using the Platform (“the Booking”), fees will not be immediately payable for the Service booked by the Customer (“the Service Fee”). The Service Fee will be payable directly to you by the Customer at the time of the Booking. The Service Fees are set by you at your sole discretion. Make Me Slick has no control over and accepts no responsibility for the Service Fees. Once the Booking is made by the Customer, you will be notified via the Platform of the Booking. You are solely responsible to accept the Booking which will notify both Make Me Slick and the Customer that the Booking has been accepted (“Acceptance”). In the event that we do not receive Acceptance from you within 24 hours of the Booking the Booking is cancelled. Upon receipt by Make Me Slick of Acceptance from you, you agree that the agreed fee which comprises 10% of the Booking Fee (“the Agreed Fee”) will be deducted from your nominated Credit Card and paid to Make Me Slick. Make Me Slick reserves the right to change the Agreed Fee from time to time and the terms applying to their payment. Any change relating to the Agreed Fee is effective 14 days after Make Me Slick notifies you of that change by sending a message to your Make Me Slick account. All Agreed Fee are non-cancellable and non-refundable. Upon receipt of Acceptance, you and the Customer will be deemed to have entered into a separate contract under which you agree to provide and the Customer agrees to purchase, the Services. You acknowledge that, following Acceptance, the Service Fee is to be paid directly to you by the Customer. Make Me Slick accepts no responsibility to ensure that payment has been made and under no condition will any refund or payment of whatsoever nature and kind be payable by or recoverable from Make Me Slick to either the Customer or you. When a Customer makes a booking with you using the Platform (“the Booking”), fees will be immediately payable for the Service booked by the Customer (“the Service Fee”). The Service Fees are set by you at your sole discretion. Make Me Slick has no control over and accepts no responsibility for the Service Fees. Once the Booking is made by the Customer, the Service Fee will be deducted from the Customer’s nominated bank account and held by Make Me Slick. You will then be notified via the Platform of the Booking. You are solely responsible to accept the Booking which will notify both Make Me Slick and the Customer (“Acceptance”). In the event that we do not receive Acceptance from you within 24 hours of the Booking the Service Fee will automatically be refunded to the Customer and the Booking cancelled. Upon receipt by Make Me Slick of Acceptance from you, you agree that the agreed fee which comprises 10% of the Booking Fee (“the Agreed Fee”) will be deducted from the Service Fee and paid to Make Me Slick. The balance of the Fees will be transferred into your nominated bank account. You acknowledge that, following Acceptance, the Service Fee (less the Agreed Fee) has been paid to you by the Customer and that under no condition will any refund or payment of whatsoever nature and kind be payable by or recoverable from Make Me Slick to either the Customer or you. By registering with Make Me Slick, you consent to our use of your personal data including but not limited to your client database accessed via our third party software partner to market the Services to your Customers. Make Me Slick may use a related entity or a third party service provider to provide payment services on behalf of Make Me Slick (“the Payment Provider”). You acknowledge that, by accepting the Booking, you agree that Make Me Slick and the Payment Provider may share any information and payment instructions provided by the Customer with you, to the extent required to complete your transaction. By accepting a Booking from Make Me Slick, you agree to be bound by the Payment Provider’s terms and conditions which are located at https://stripe.com/au/legal. Make Me Slick confirms that the services offered by the Payment Provider are Third Party Services and subject to further terms set out for Third Party Services below. Make Me Slick provides a Platform only. You agree that you are solely responsible for your interactions with the Customers including all bookings and provision of the Services. Make Me Slick makes no representation as to the quality of your Services and accepts no liability for any aspect of the Services and/or your interaction with the Customers, including but not limited to the description of the Services offered and/or the performance of Services. You expressly agree that Make Me Slick has no liability and makes no warranty as to the truth or accuracy of any aspect of any information provided by a Service Provider including but not limited to the ability of the Service Provider to perform the Services or the honesty or accuracy of any information provided to you by the Service Provider for the Services. You hereby indemnify Make Me Slick against all suits, actions, causes of action, damages, losses, penalties, fines, expenses and costs (including legal costs) which arise out of or relate to your provision of the Services to the Customer, your use of this Platform, the accuracy or otherwise of any information that you provide to us via this Platform or any damage that you may cause to this Platform or any third party who may use this Platform. This indemnification includes, without limitation, liability relating to copyright infringement, defamation, invasion of privacy, trade mark infringement and breaches of any state or commonwealth law of Australia. In the event that any dispute or issue arises with a Customer for any of the Services arranged by using the Platform, must be dealt with directly by you. Make Me Slick reserves the right, but has no obligation to you to assist or become involved in any way in any dispute between you and the Customer. Any changes to these Terms will be made available via the Platform at least seven days in advance of the changes taking effect and you will be deemed to have agreed to the changes to the Terms by continuing to be listed on the Platform following the changes taking effect. No agency, partnership, joint venture, employee-employer or other similar relationship is created by these Terms. In particular, you have no authority to bind Make Me Slick, its related entities or affiliates in any way whatsoever. Make Me Slick also confirms that all Third Party Services that may be promoted on the Make Me Slick Platform are provided solely by such Third Party Service providers. To the extent permitted by law, Make Me Slick specifically disclaims all liability for any loss or damage incurred by you in any manner due to the performance or non-performance of such Third Party Service. If sent by ordinary prepaid post, three business days after the date of posting. Notices related to performance of any Third Party Service must be delivered to such Third Party as set out in the Third Party Service provider’s terms and conditions. You also consent to our use of your personal data including but not limited to your client database to market the Services to your Customers.